Let's help It's Free at Last celebrate hitting 75,000 twitter followers. Enter below to win a $75 gift card. Your choice of Amazon, PayPal, or Walmart. Ends 4/21. Good luck. 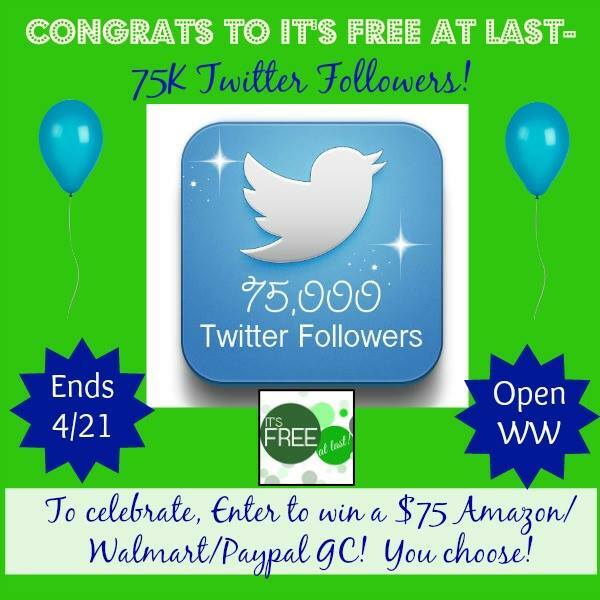 Help It’s Free At Last celebrate hitting 75,000 Followers on Twitter ~ Winners choice of Paypal or Amazon! It’s Free At Last has hit a blogger milestone ~ 75,000 Twitter Followers. To help celebrate, we are giving away one $75 Walmart, Paypal or Amazon Gift Card (prize will be winners choice*). Simply follow the Rafflecopter form below for your chance to enter and win. Entrants must be 18+ years of age and limited to one entrant per household. The Giveaway is open Worldwide and ends on 04/21/15. (Note if winner is outside of US, prize will be Amazon or Paypal). Time to listen to the music. 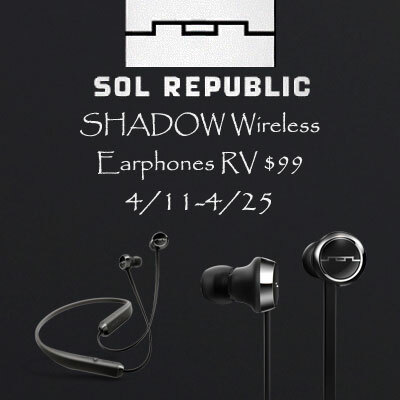 Check out the earphones you can win here. I remember those big bulkie headphones growing up. Boy have times changed. No wires anymore and much much smaller. 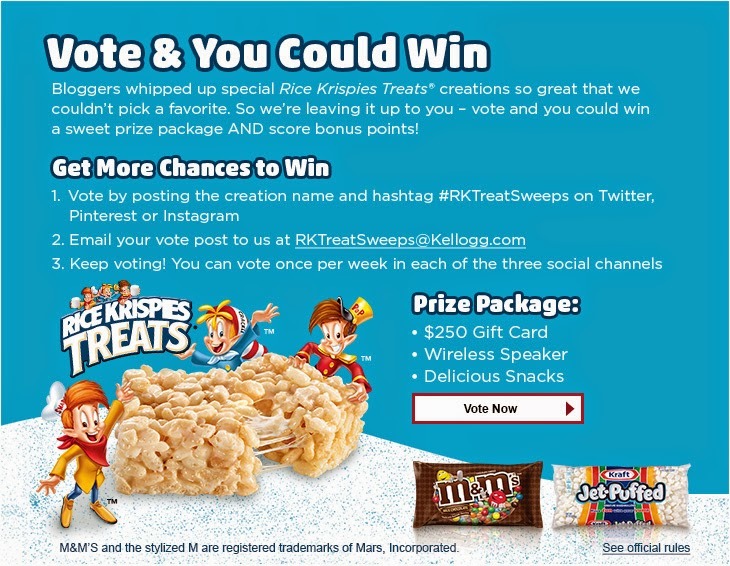 You have through 4/25 if you're a US resident and want to win. Good luck. When 3:30 rolls around, I’m usually in need of an afternoon pick-me-up; something to satisfy my sweet tooth and hold me over until dinner time! 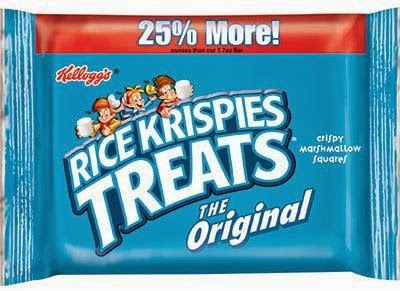 Enter: Rice Krispies Treats. These delicious little squares are just perfect for an afternoon snack. But sometimes I like to dress it up a bit; dipping it in white chocolate or adding bacon on top for a delectable treat. But if you think either of those ideas is good, you should check out these decadent Rice Krispies Treats creations from some fabulous bloggers. They made some serious treats! Here's a giveaway open worldwide with five winners. Do you backup your computer regularly? If not, this giveaway might be for you. You have through 4/22 to enter if interested. Good luck. Easy PC backup is a software with over 6,000,000 home users, a reliable backup & recovery software enables users to back up system & restore it to the original state when disaster happens and performs comprehensive backup types. 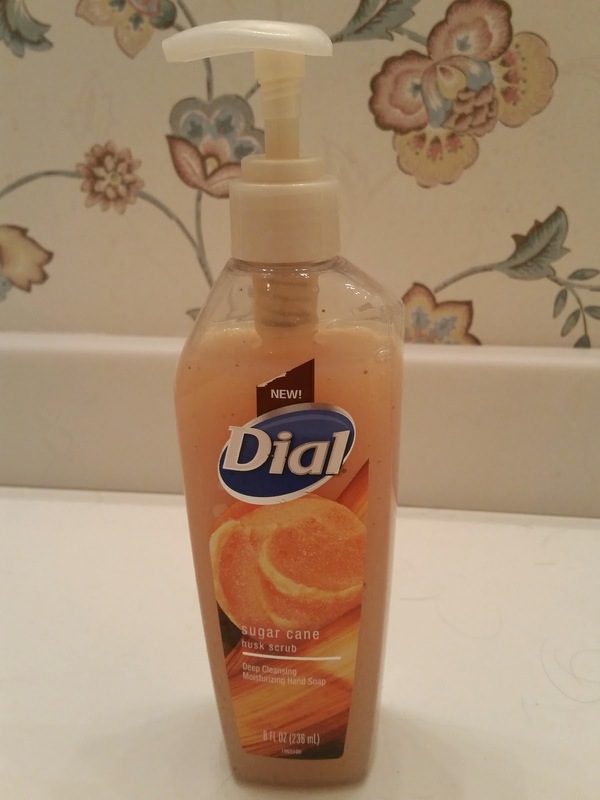 "You get an easy to use solution that covers the needs of most users. It can create bootable copies of the system drive"
See full review here: EaseUS - Make your life easy! I don't have much of a Filipino following, at least living in the Philippines, but this giveaway has two different prizes, the camcorder if you're in the Philippines or the PayPal Cash if you're not. Of course, if you're in Quebec, you can't enter since this isn't in French. You have through 4/27 to enter to win. It's April and it is summer time in the Philippines, most families are going to the beach or mountain resorts to beat the summer heat. Capturing this memorable family event is not enough using just a smartphone or a digital camera, it would be better if you will capture it using a High Definition Digital Video Camera. 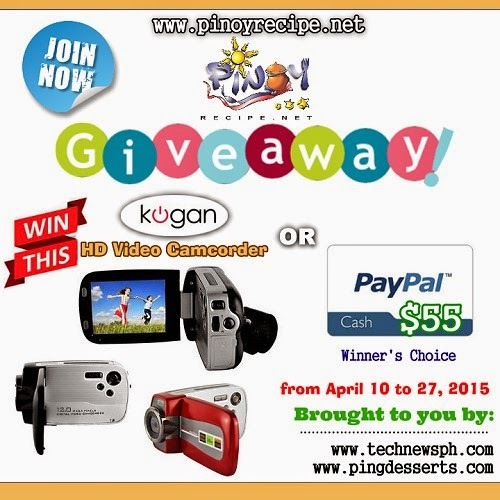 Our Gadget Giveaway for this month of April could be the answer to your need, Join and get a chance to win a Kogan 12mp HD Video Camcorder or a $55 Paypal cash if you live outside the Philippines. This is our way of saying thank you to all of you who support Filipino Recipes Portal. Introducing Gymboree's Colorful Hop 'n' Roll collection! Gymboree has launched a new line of clothing with mix and match styles, kinda like the old Garanimals, if you're old enough to remember those. With every purchase of Hop 'n' Roll playwear, 1% of the proceeds will be donated to KaBOOM! - a national non-profit that inspires communities to support play and creates great places to play for kids in underserved communities across America. What ever happened to the old Saturday morning cartoons like Bugs Bunny and Elmer Fudd? By now, I'm sure Wile Coyote should have gotten him but what would become of Wile after the capture. That's where the giveaway comes into play. You get to get the next generation of cartoons. Enjoy. You have through 4/29 to enter to win. Holiday Contest and Sweeps is pleased to join with Warner Brothers Home Entertainment with the release of Teen Titans Go! Appetite for Disruption DVD. 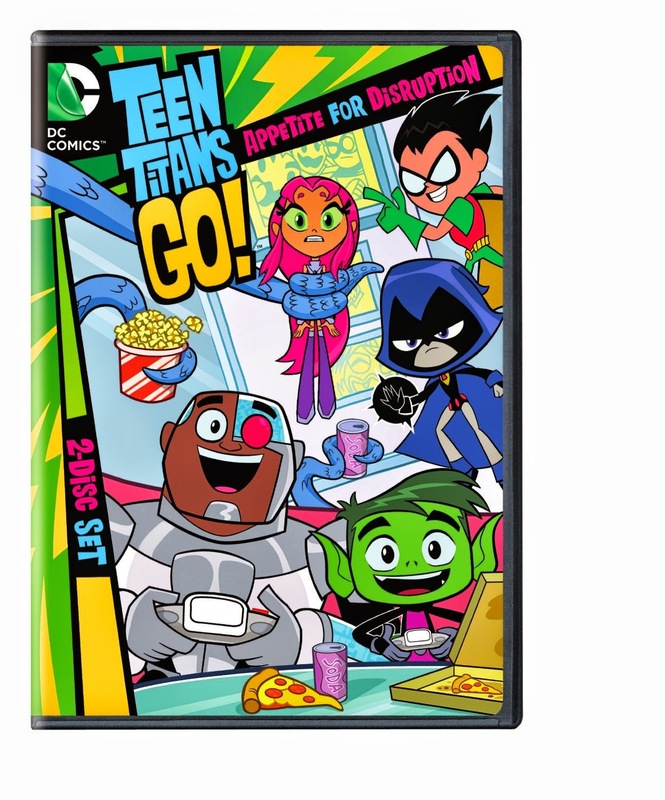 I am pleased to provide a giveaway giving 3 of my readers and fellow blogs the "Teen Titans Go! Appetite for Disruption DVD". Teen Titan fans can relive the latest adventures when Warner Brothers Home Entertainment (WBHE) releases Teen Titans Go! Appetite for Disruption Season 2 Part 1 on DVD April 14, 2015. This two-disc DVD set is priced to own for $19.97 SRP and features over 4 Hours of content on 2 DVD Disks. Teen Titans Go! which consistently ranked as the #1 show for kids 6-11 on Cartoon Network has been renewed for a third season of fun and mayhem. This Disk Set contains 26 Episodes that are each 11 minutes long. The Teen Titans return with a whole new set of adventures! Watch as they Partner up with Robin, Raven,Cyborg, Beast Boy, Starfire, to defend Jump City against slimy monsters, super villains and of course, crime fighting induced hunger pains Every vote counts when the Teen Titans hold team leader elections. Let's take a look at a shortcut from the DVD. If you have kids, you'll probably want to enter this giveaway, at least if they can play outdoors. 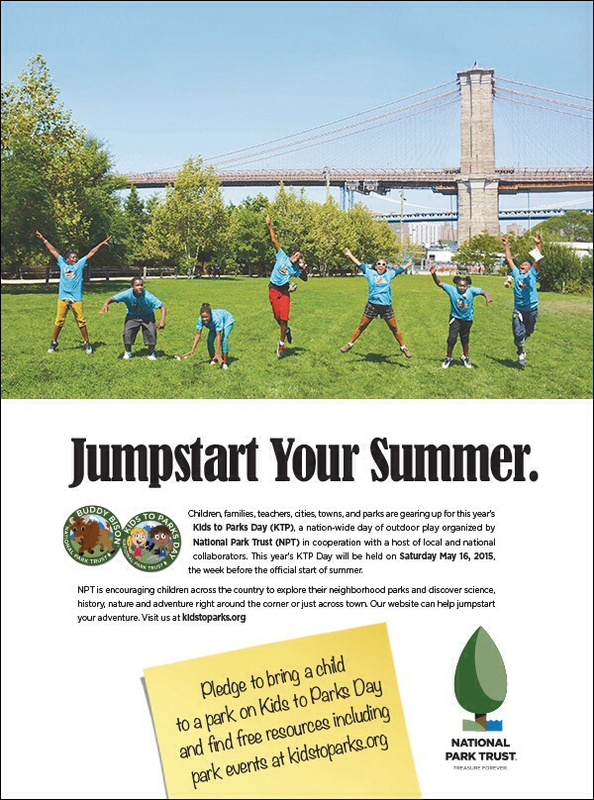 Enter to play and take the pledge. You have through 4/23 to enter and the giveaway is open to residents of the Continental US. Signup today for Walmart email savings and updates and receive $5. You'll get updates on Rollbacks, special pricing, hot new items, gift ideas and more. Actually, it looks like you only have to create a Walmart.com account. You can leave the checkbox unchecked and not get email alerts. This one is not a lightning deal but one w/ a coupon. I've seen these offered around lately for good prices. 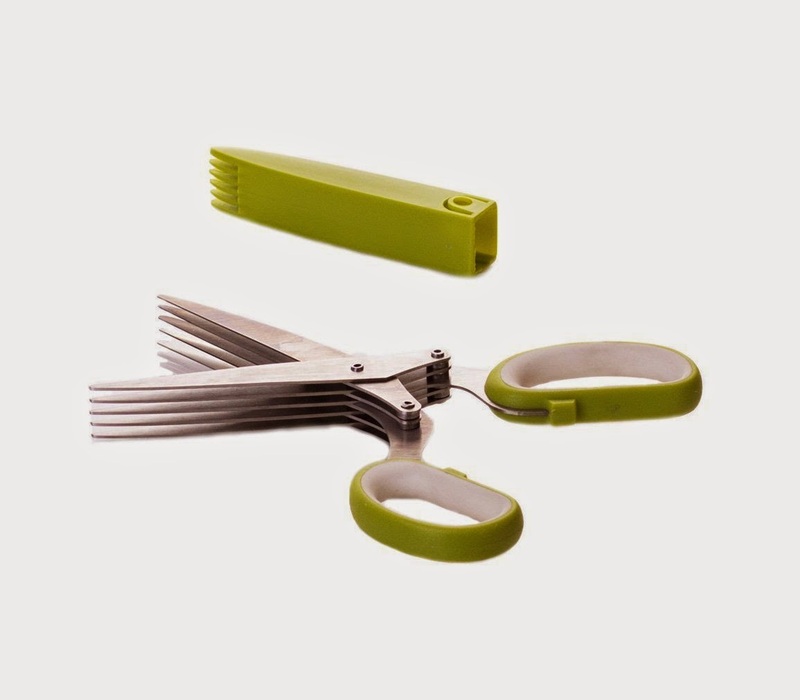 If you're in the market for 5-Blade Herb Scissors , about $7-8 seems to be the good price point. Here's a deal with a 50% off coupon code to get it at $6.49. 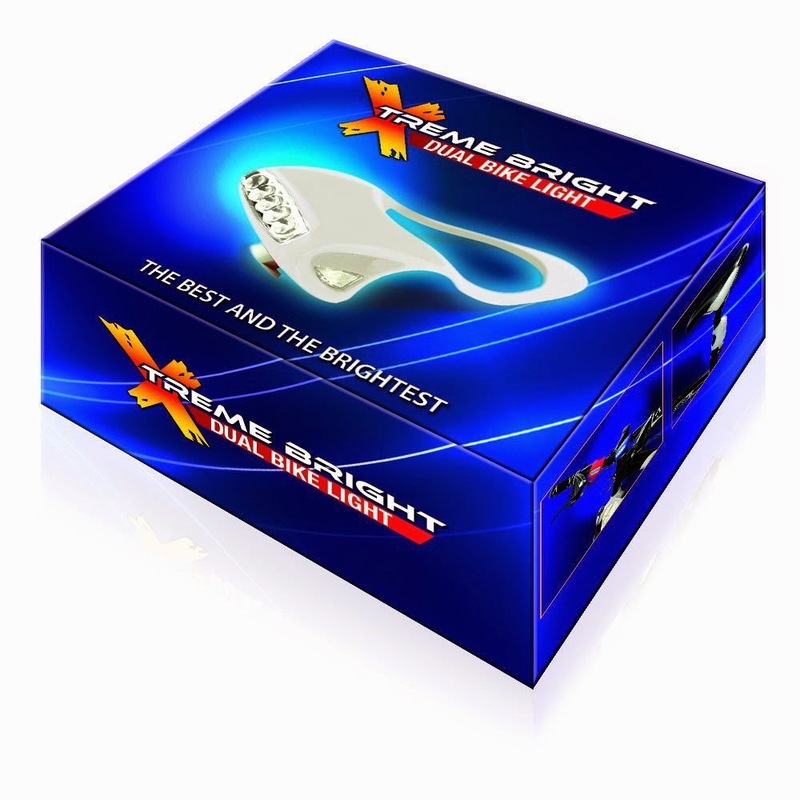 Use coupon code B7FT7LPK. Expires 5/30. If you have Prime, shipping is free. If you win, you have to promise to come over to clean our house... :) Enter through 4/24 for your chance to win. You must be US based though. Good luck. Get ready for Mother's Day with a glitzy giveaway! 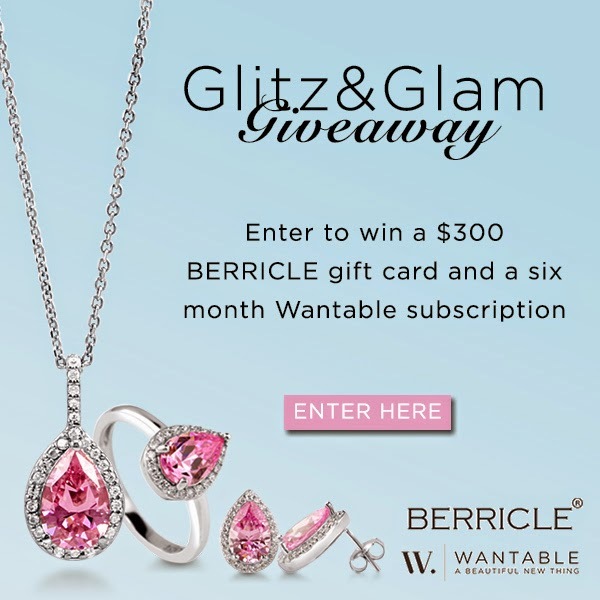 Enter to win a $300 Berricle gift card and a 6 months subscription of Wantable goodies. Need time? Well, we give you any of that, but if you win, you'll know what time it is, from a wooden watch no less. Giveaway runs through 4/17 and is US only. Good luck. JORD creates unique timepieces that are simple but elegant. Their watches are made of wood. This makes their watches distinctive and elegant. You can find many designs on JORD's website that will fit you. Read what Crazy About Deals thinks about the JORD Fieldcrest Black watch in their review. Not for everyone as UNO isn't nationwide, but if you happen to live in their area... Sign up for UNO's Insider Club and receive a printable coupon via email for a FREE Mini-Dessert with Purchase. Today (4/7) only. 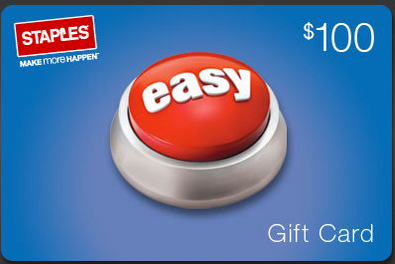 Grab a $100 Staples gift card for only $85. Limit 2. eGift Card will be sent out 4/8. 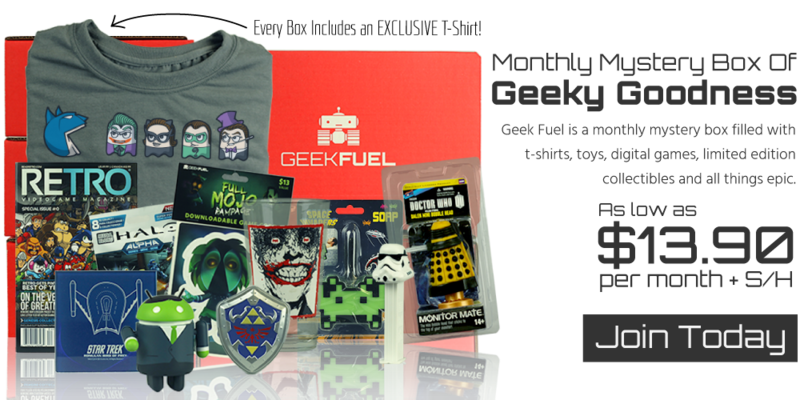 I'll be doing a review of the GeekFuel subscription service for gamers and geeks soon. In the meantime, you can enter in their monthly contest to win a free month of their service. They have a new giveaway each month. This one runs through 4/15. If you join today, you'll get a free bonus item. Time for some outdoors activities now that the weather is changing. 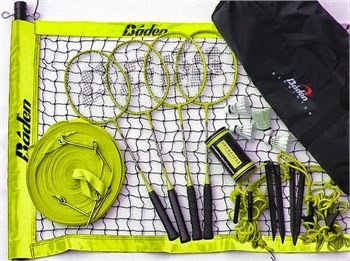 Here's a badminton set up for grabs. 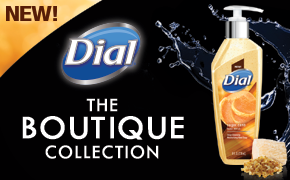 Continental US residents have through 4/25 to enter to win. Don't miss out for some fun. Good luck. Holiday Contest and Sweeps is happy to work with Sports Unlimited to bring to the Week # 3 of the 8 Weeks of Family Summer Events. One lucky winner will receive a summer outside game all will enjoy, a Champion Series Badminton Set. Challenge your friends to a match with the Champions Series - Badminton Set. This complete set has everything you need for a day of friendly competition including rackets, a net, poles, and shuttlecocks. 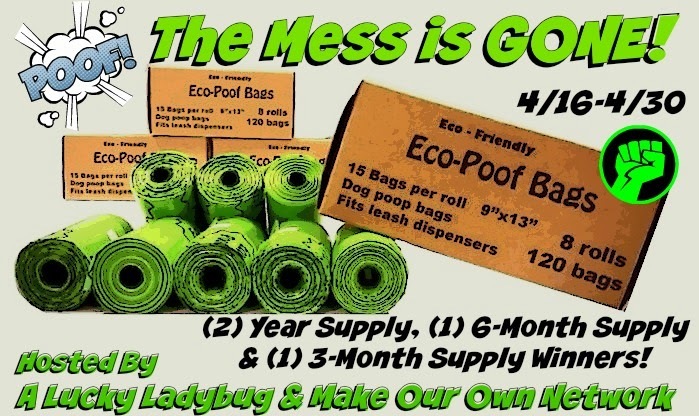 When you're done, simply pack everything up in the heavy duty carry/storage bag until next time. If only the mess was gone so easily... After a long winter, lots to pickup. Amazing how much snow hides... Sign up to help promote or just come back after 4/16 if you want to win. See you then. This new book, Whatever Wanda, is the third title in the Shine Bright Kids series! The Shine Bright Kids series provides children and their families with the tools to teach the importance of making good choices. The series explores such topics as: using good judgment, taking responsibility, having a positive attitude, and demonstrating perseverance.